Suspicious email messages? Play it safe. This one actually got tagged as SPAM by my Spamassassin mail filter. Not all of them have, but the message content is similar in all I’ve gotten like this. Take a look at the “From” address, would you! Does anyone in his right mind think that Mailgun account notification emails would come from “info@goskydive.ca” ? Seriously? Whoever sent me this needs to take a break from his computer, go find an airport, and go skydiving. It would be better usage of his time. Actually, second thoughts — he needs to read his Bible, find a Scriptural church, and learn how to do something productive with his life. Does the email format look like something a corporation would put together? How professional is it to start every line with ## and interject a random * here and there? The reassuring “it only takes a few seconds.” This reeks of spam tactics, trying to disarm you and get you to take the bait. OK, so this email has a nice HTML link we could click on. Suppose you really aren’t sure if a message is legit or not, what should you do? There’s just no reason to believe that the domain “03securitysystems.com” is in any way affiliated with Mailgun! If you’re still in doubt, don’t click any links in email messages like this. Go to your online account yourself, and see if there’s some notice of action required on your part; or call the company in question and see what they say. In this case, I could go log into Mailgun myself and see if any notice shows up in my online account. Let’s have more fun with this! Here’s the whois on the domain linked in the spam email. James Finley may well be a pseudonym, and at any rate it doesn’t sound like Mailgun to me. Here’s one that didn’t even try to hide the wacky link. Note the highlighted sections below. This one is kindergarten-easy to spot as spam. OK, so the “real” Mailgun lives at mailgun.com. So we can naturally be wary of correspondence from mailgun.org. I also viewed the message source. Now, I am no expert at reading mail headers. Quite the contrary, I find them to be quite a messy mumbo-jumbo of confusing and seemingly repetitous data. But the domain highlighted is a jewel of a find. 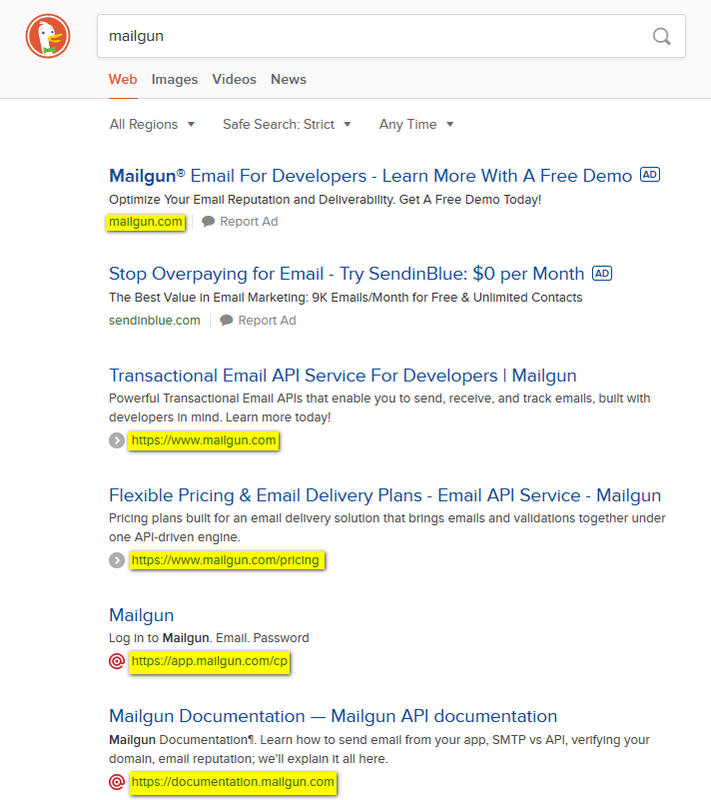 Why would Mailgun be affiliated with the “gundogdirect.com” domain? I wonder if there’s header spoofing going on here but again, I simply am not studied up enough on mail headers to know for sure. If you’re reading this and can shed light on it for us, please chime in with a comment below! I might be taken to a fake Mailgun “account verification” page where I’d be prompted to enter my mailgun username and password. But this site would be run by others, who’d harvest the information I provide in the form and then use my account to spam others. Not a good scenario. There’s a possibility I’d be taken to a site / page that would attempt in some way to exploit a vulnerability, or download a file, to compromise my computer. Inappropriate content might even be involved (in this case, I’d be very likely to see a block page thanks to my trusty internet filter). In the best of cases, someone might just be trying to sell me something. In conclusion, let me stress this. If you have a computer and use email, be careful! Be suspicious of any emails you’re not expecting; and any email that calls you to click on a link or open an attachment. Do your home work; a few simple tests are not hard. If in doubt, call a trusted friend who’s techy; he may be able to help you figure it out. Be wary, be careful, and don’t trust everything you read on your screen. Remember that in today’s world, what with firewalls, AV software, and all, humans and their potential for bad decisions are the weakest link in the security chain. Stay safe!